The DARKNIGHT, the latest addition to the DARK family, oozes elegance with its black 5-inch HD screen with OGS technology. 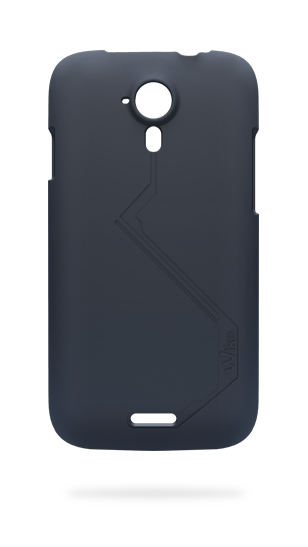 Its sleek design is enhanced by its brushed aluminium back, the epitome of sobriety. 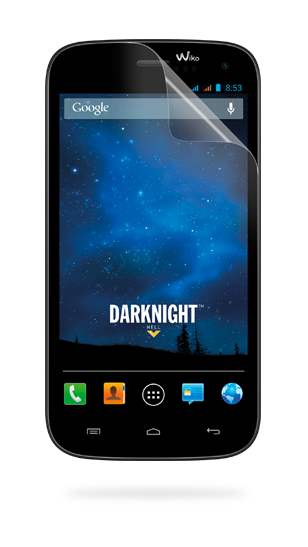 The deepest black, the DARKNIGHT’s screen incorporates OGS (One Glass Solution) technology and a full lamination technique that provides greater touchscreen accuracy. It has a superb display area, with a 5-inch HD IPS screen protected by the thin yet resistant second generation Corning Gorilla Glass. 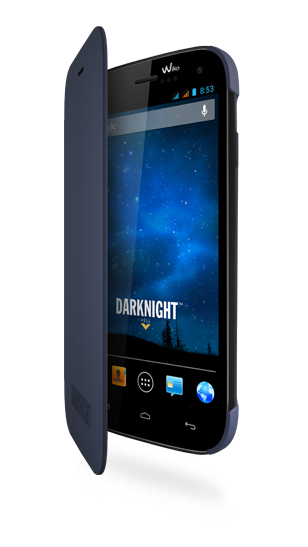 Overall, the DARKNIGHT offers great image quality and impressive touch sensitivity and accuracy. 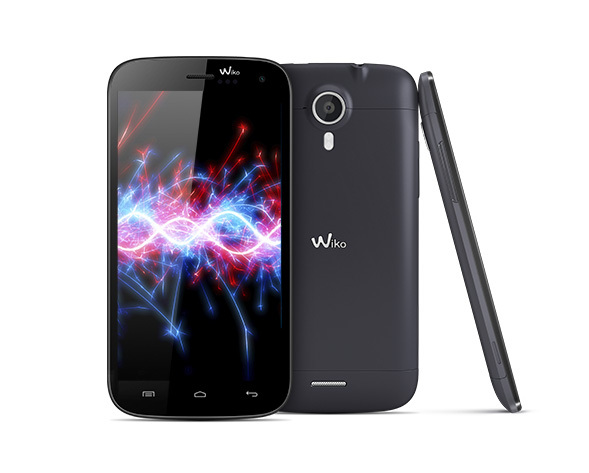 This smartphone comes with a 1.2 GHz quad-core processor and 8GB storage capacity, expandable to 32GB using a micro SD card. 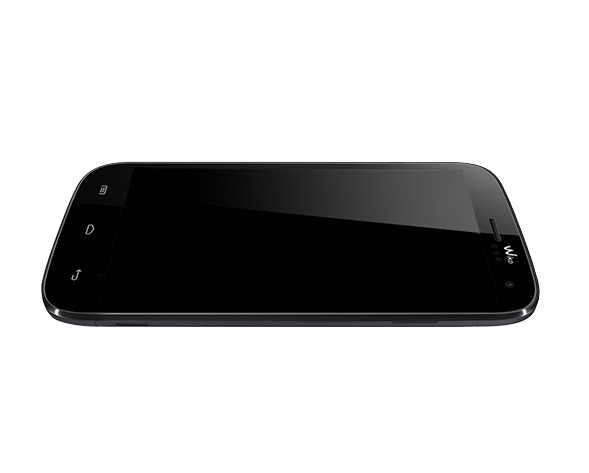 Its operating system, Android Jelly Bean 4.2.1, is smooth to use and very responsive. 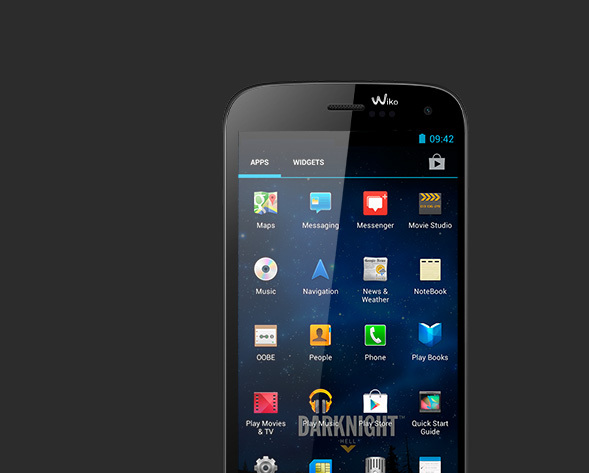 The DARKNIGHT offers everything you could wish for in a smartphone. This is the ultimate tool to unleash your creativity! The 2MP front camera comes with the Face Beauty option, while the 8MP digital camera is equipped with the Magic Camera function. 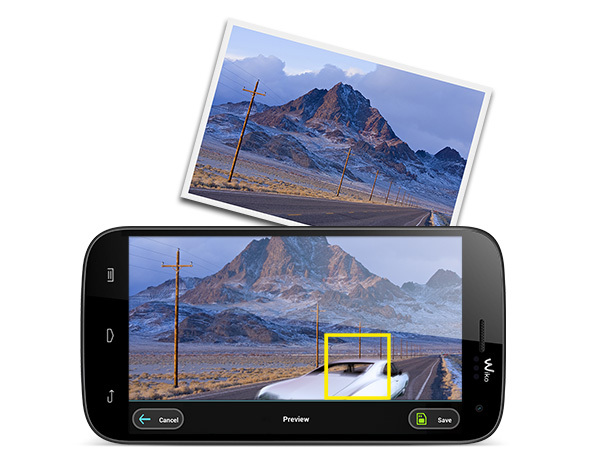 The eraser feature of the magic camera detects the slightest disruptive movement that could spoil your photo and erases it with a magic wand. Effective, fun ... and addictive!